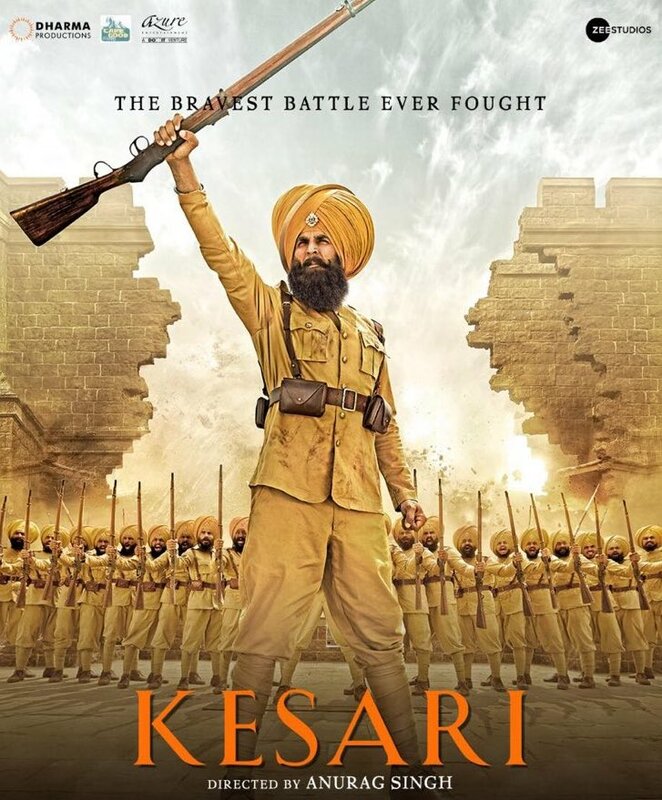 Unlike the imposters that stalk the silver screen with their phoney nationalism and exasperating jingoism Kesari puts its money where its mouth is. The actors playing the 21 incredibly courageous Sardarjis who took on the Afghani invasion, speak of the pride for their country with no effort to create an impression. These soldiers mean business. When pitched against the worst odds, they know they are destined to die. And yet they fight to their last breath. Why? Becase there is a country to be protected. Kesari doesn’t valorize death. But it certainly throws the idea of patriotic pride at us at a pitch we’ve never seen or heard before. And I don’t just mean Raju Singh’s background music which unnecessarily compounds the intrinsically dramatic action scenes. That’s not the only irrelevant augmentation that this flawlessly-written film suffers, Parineeti Chopra as Havildar Ishar Singh’s phantom-wife serves no purpose except to add a touch of muliebrity to this pointedly masculine film. Kesari is an astonishing achievement. Like Sanjay Leela Bhansali’s Padmaavat the second-half of the nervewracking drama is devoted entirely to the battle between the 21 Sikh soldiers against thousands of Islamic invaders who are shot like crawling insects in aerial shots that turn the turgidity of war into a sharply aesthetic celebration of war sentiments. This is not a film for the pacifists. Kesari tells us, when you got to fight you’ve got to give it your best shot even when you know the outcome. No amount of praise is sufficient for the cast. Every one of the actors playing the 21 Sikh soldiers seems to own his part in the way the girls in Shah Rukh Khan’s hockey team owned their parts in Chak De.